Login : This is the first screen that appears when candidate start an exam. This can be used by instructors to allow multiple candidates with unique login names to take same exam on one Exam Engine. Results for all the exams taken by the candidate under a login name will be stored independently. Candidates will not be able to view results of each other. 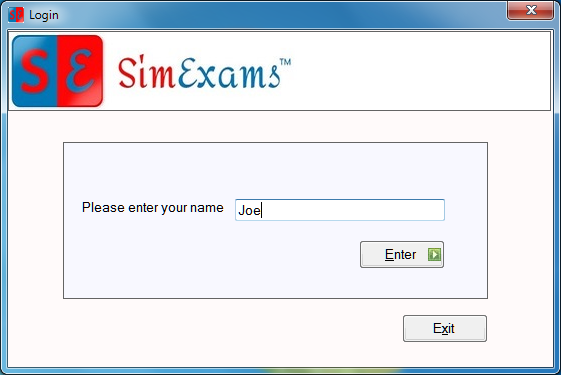 Enter the name under which candidate has to take exam and click on "Enter".